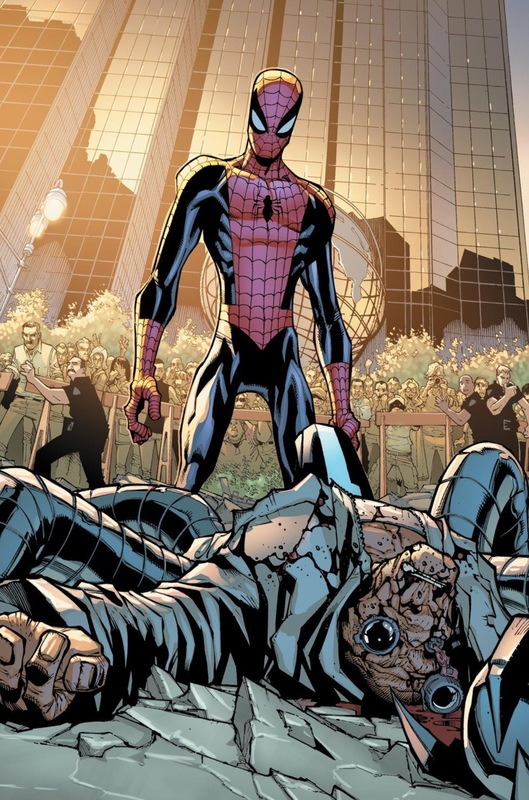 I’ve had months to prepare for what inevitably transpired at the end of Amazing Spider-Man #700 – starting this past summer when writer Dan Slott first started to stir the pot about fans with pitchforks – and yet I’m still having a hard time coherently writing down my thoughts on the topic. On one hand, we have a fictional universe that has absolutely zero consequence on the real world that I’m living in that’s chock full of villains and boogeyman who are even scarier than the likes of Green Goblin and Electro because these people can actually do harm to my family through violence and manipulations of our economy, civil rights and political structure. But that’s part of the reason so many people turn to comic books, because within them is a world of super powered heroes who try to fight the villains of the world. These heroes succeed and sometimes they do fail, but regardless the outcomes, their stories live on, as part of a modern day mythology. Ancient civilizations leaned on the tales of Odysseus and Achilles, while my generation turns to Peter Parker and Steve Rogers. And yet, if we are to believe the literal ending of ASM #700 and the subsequent interviews given by Marvel executives like Stephen Wacker, Axel Alonso and Tom Brevoort, we are to believe that at least one of these myths has ended – that there are no more tales to be told about the life and times of Peter Parker. But I just can’t accept that as reality – and it’s not because of some deluded state of “nerd rage” that I’ve regressed to. 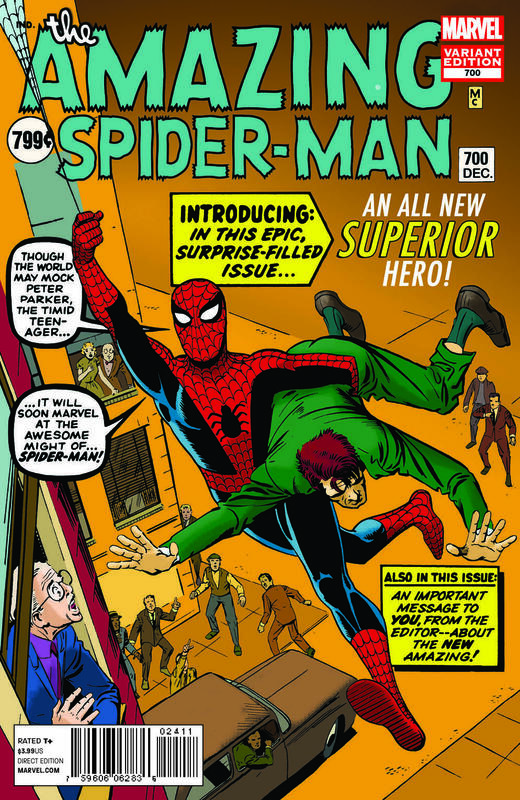 Based on my interpretation of the events of ASM #700 I truly believe that there are more stories to tell about Peter and that the tale of the “amazing” Spider-Man will continue onward, even if it’s transpiring in the form of a new series called “Superior” Spider-Man. 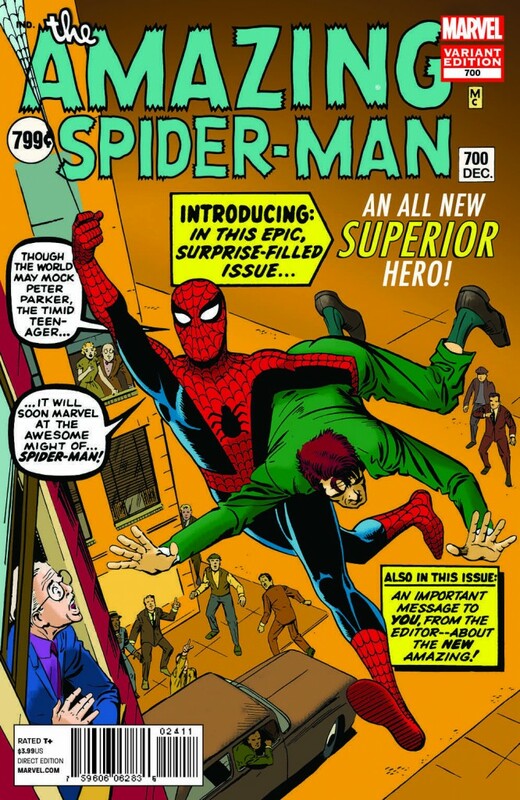 After reading ASM #700, I don’t understand the eulogy for Peter Parker that I’ve been hearing from all over since last Wednesday. Why are we memorializing this character? Because his mind had been “swapped” with Doctor Octopus and then Doc Ock’s body finally perished? Sure, that’s literally what happened, but I saw it differently. From my perspective, Peter is alive in mind, body and spirit – it’s just that he’s currently being co-habited by his arch nemesis, who may, or may not use this opportunity to do some good in the world. Obviously, Peter’s body, complete with his radioactive spider powers, is alive and well. This much we know definitively to be true. But his mind is there too. 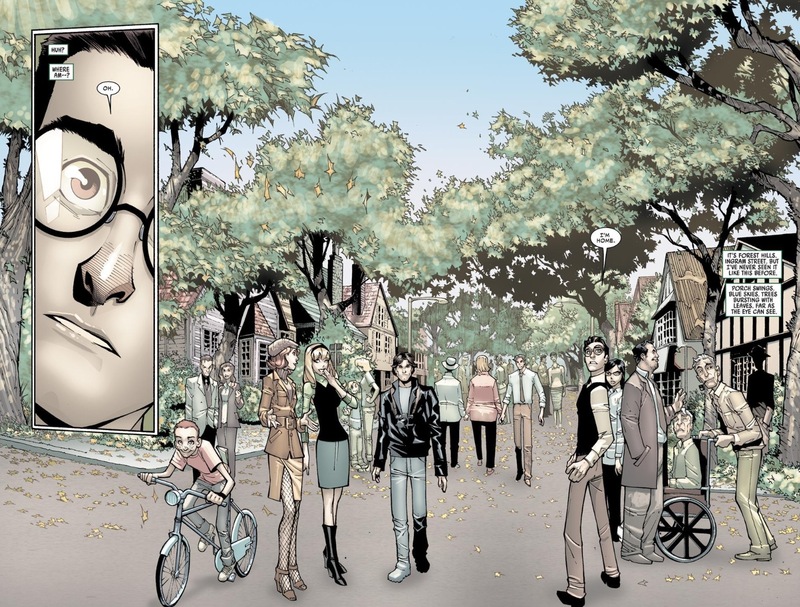 Doc Ock has all of Peter’s memories and all of his relationships – with both good people and evil doers. He has Peter’s powers and his responsibilities, so with that, we complete the trifecta and recognize that Parker’s soul is alive and well, even if it’s tainted with Otto’s impulses running around his brain. 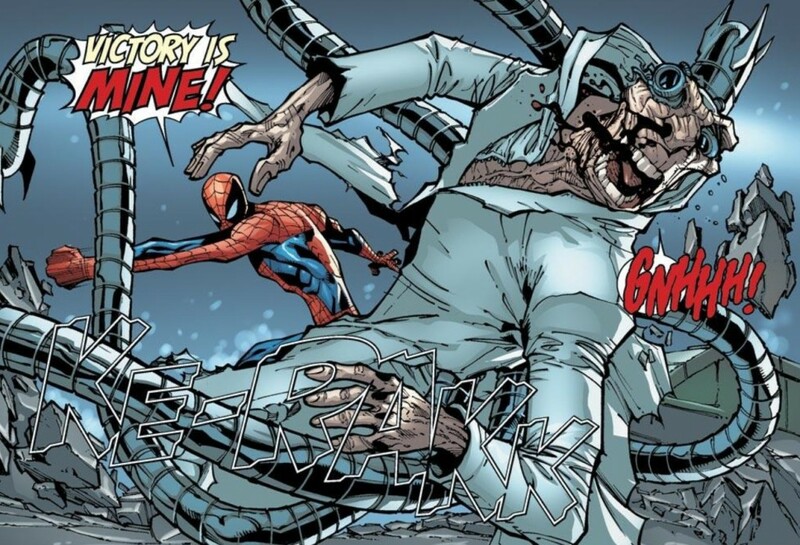 What we have is a change in the “status quo” designed to tell some new stories – but whether we want to accept it or not, and regardless of the amount of internet trolling the Stephen Wacker’s of the world do, saying things along the line that people will have to “get over” Peter’s “demise,” Superior Spider-Man is very much a continuation of Peter’s tale – just with a new paint job. In the case of ASM #700, I felt a bit cheated by the ending in that despite the fact that this storyline had been building over the course of 100 issues and many years, Doc Ock’s final transformation into the mind, body and soul of Spider-Man still felt rushed. Obviously, Marvel wanted epic. And the potential was there. Peter’s “afterlife” scene earlier in the issue was very satisfying, despite it being a trope Marvel and even Slott have used before. 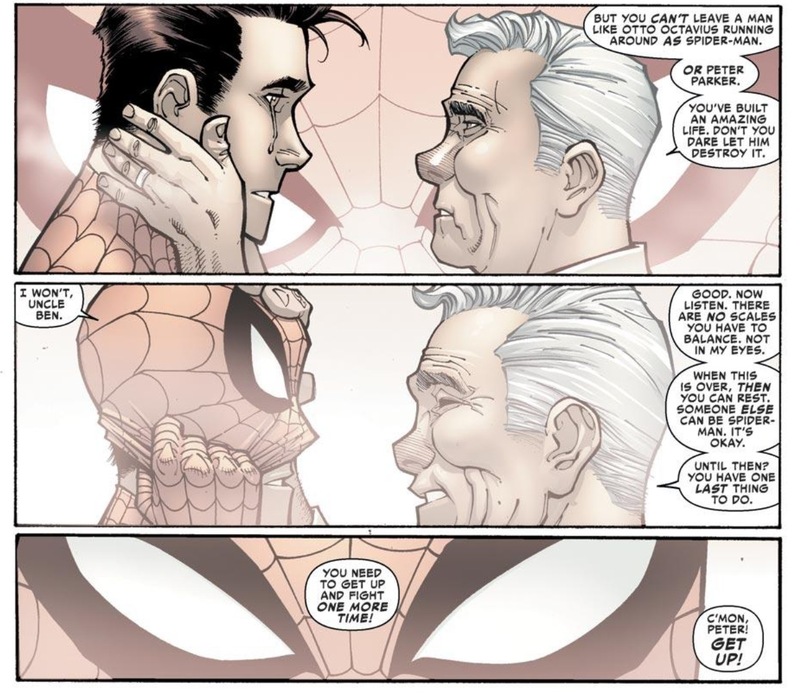 It’s always important for readers to remember the amount of loss Peter/Spider-Man has suffered throughout his 50 years of fictional existence. It serves as the appropriate set-up for when things are about to get worse – say if a supervillain swaps brainwaves with him and leaves him to “die” in a cancer-ridden body. But to go from arrogant, “the world is mine” Otto to “I will be a hero, I will be superior” over the course of three pages was very anti-climatic and was not the emotional apex I think Slott was shooting for. When you take into account the issue’s postscript in Avenging Spider-Man #15.1 (which I will have thoughts on in a separate post in a few days), it made ASM #700’s ending feel even more like fireworks that don’t explode (or exploded all at once in under a minute). If this comic is to truly mark an “end” for the series, I honestly believe the readers deserved better execution than this. Like I referred to earlier, I can accept the results and the direction the comic wants to take from here, I just wish the creative team paced it a bit better and let things evolve more organically. With that said, I fully expect more organic plot development to occur within the pages of Superior Spider-Man, where Slott and co. have plenty of opportunities to tell different kinds of stories within the Spidey universe. 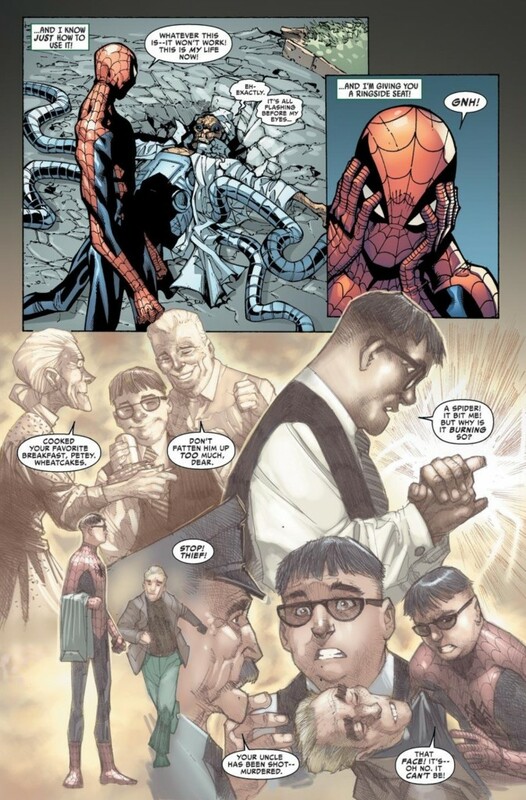 I’m honestly much less interested in how Spidey-Ock interacts with Peter’s family and MJ and more intrigued to see the relationships he forges with other super-powered heroes and villains. How long I’m willing to go along for the ride depends on a number of factors, and is something I’m going to take up in my comments on Avenging in a couple of days (here I am, leaving you wanting more). So am I outraged, sad, despondent or annoyed? Honestly, no to all of these. A major reason why I came to Spider-Man was because of the moral code espoused by Peter Parker. And for all intent and purposes, this code is expected to live on in Superior, but with a twist. It’s a story, and whether Marvel wants me to think this way or not, it’s still Peter’s story and will continue to be Peter’s story for the infinite future. If you don’t believe me, just look around the world of pop culture to see how many stories embody the mind and spirit of Odysseus. You can’t scrub mythology away that easily. I DO feel sad and annoyed, I think they’ve damaged Spider-Man in a way it will take years to heal. I personally don’t really care much for Superior (even the name sounds trite, and then we had Sinister a few years ago). I think, for the time being, it’s quite clear Spider-Man has ceased being *amazing. * And that’s annoying. That’s sad. While it’s probably dangerous to completely disregard him, I would take everything Wacker says with a grain of salt at this point. Of the Marvel-folks out on the campaign trail since ASM #700 dropped, Wacker has far and away been the most antagonistic about some of the emotional reactions fans have had to the whole transition to Superior. Obviously when you got people making death threats to Slott and others over the contents of a comic book, it probably inspires more poking the bear just for fun and spite. But still, I’m just having a hard time thinking that Slott doesn’t have an end game here considering this is an idea that had its seed planted more than 100 issues of ASM ago.